The bankruptcy code is about 1,100 pages long. 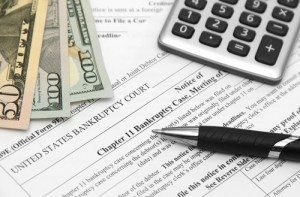 Below if a brief overview of the different types of bankruptcy. For more information, schedule a consultation in person or by phone. This is the most simple, basic form of bankruptcy. Chapter 7 eliminates most kinds of unsecured debts, such as credit cards and medical bills. It will not stop a foreclosure of your home or repossession of your vehicle if you are behind in payments. You can keep certain kinds and quantities of assets, and it stops garnishments and lawsuits. Not everyone is eligible to file Chapter 7. You might earn too much money to qualify. This is a reorganization form of bankruptcy for corporations, or individuals with very large (over $1,000,000) secured debts or very large (over $350,000) unsecured debts. Very few individuals will need to file a Chapter 11. 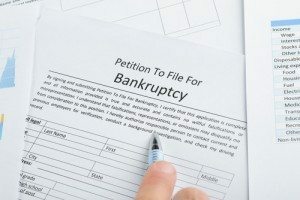 Call me for a free consultation if you are considering filing Chapter 11 bankruptcy. This is a reorganization form of bankruptcy and generally lasts three-to-five years. Chapter 13 is often used to stop foreclosure of your home or repossession of your vehicles. It can allow you to resume making your regular mortgage payments and gradually get caught-up in arrearages on your mortgage. If you have a second mortgage, you may be able to “strip” it, treat it as an unsecured debt, and end up paying little or none of it. You may own real estate that you do not want to keep. Filing Chapter 13 may allow you to surrender such property and prevent the mortgage holder from pursuing you. If you owe income taxes, Chapter 13 will stop IRS levies and let you pay the debt over a five-year period. 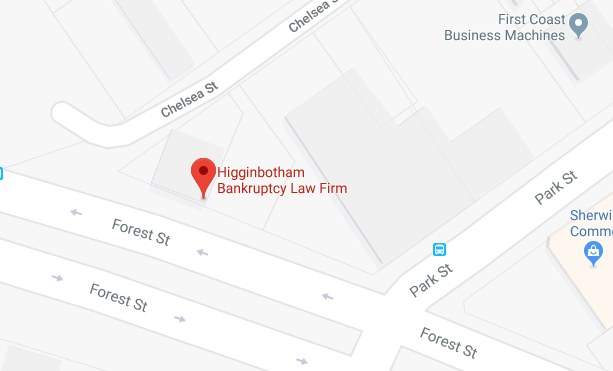 Call us at 904-354-6604 or contact me by e-mail at Higginbotham Bankruptcy Law Firm now to set up your free consultation.